Between 1938 and the outbreak of war almost 10,000 children, most of them Jewish, were sent by their parents from Germany to Britain. Nine year-old Eva ends up in Manchester. When Eva's parents fail to escape Eva changes her name and begins to deny her roots. It is only after she is grown up with a daughter of her own that she is forced to confront the truth about her past. The play explores with great sensitivity the effect of separation on our relationships and the changes that take place when we are forcibly uprooted from our country of origin. 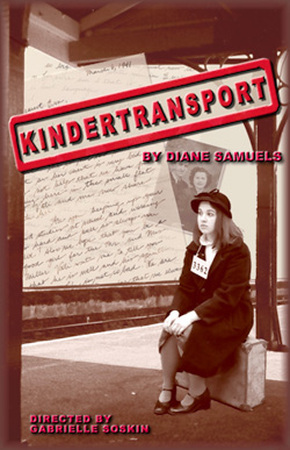 Written in 1993, Kindertransport was an international hit. It has been performed in many cities across the world including London and New York. Kindertransport was performed at the Calixa-Lavallée Theatre in Lafontaine Park.